The Unicorn Frappuccino starts as “a purple beverage with swirls of blue and a first taste that is sweet and fruity,” the company said. 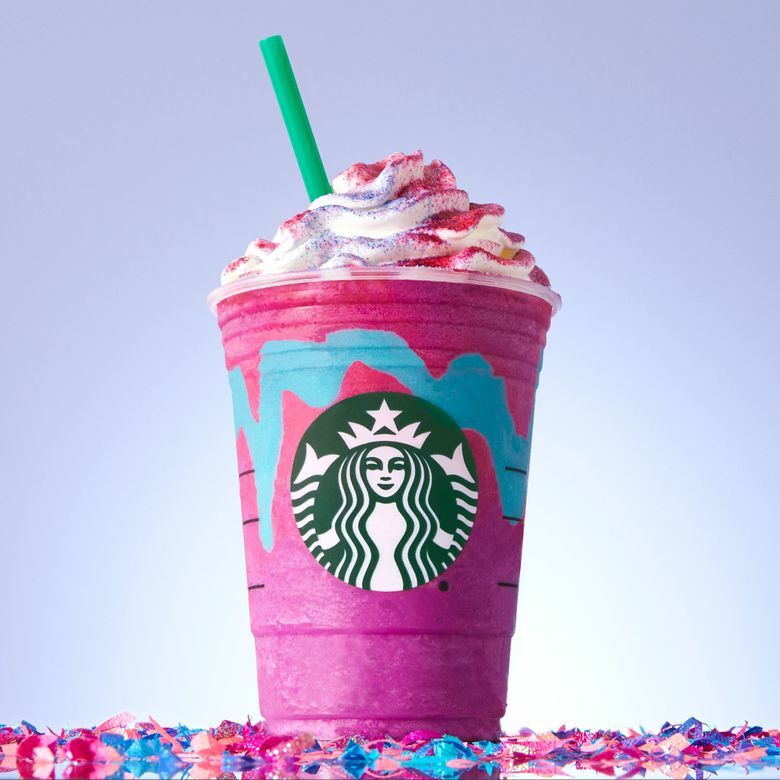 Ending days of social-media speculation over whether Starbucks would be offering a “Unicorn Frappuccino,” the coffee company on Tuesday confirmed that it would indeed be offering the brightly hued, coffee-free sweet drink. The pinkish-purple-and-blue Unicorn Frappuccino is made with sweet pink powder blended into a crème Frappuccino with mango syrup, layered with a sour blue drizzle, then topped with vanilla whipped cream and a dusting of sweet pink and sour blue sprinkles. It will be available for a limited time, from Wednesday through Sunday, while supplies last. A grande (16-ounce) Unicorn Frappuccino costs $4.95 to $5.25, depending on the market. A grande standard-recipe version, made with whole milk and topped with whipped cream, has 410 calories, 140 of them from fat, and 59 grams of sugar. A company spokeswoman said nutritional information on the drink will be posted at Starbucks.com starting Wednesday. After photos of bags of pink powder popped up online earlier this month, supposedly posted by some Starbucks employees, rumors swirled that Starbucks would be offering a Unicorn Frappuccino, according to Snopes. The drink jumps on a social-media trend of highly Instagram-able unicorn-themed, rainbow-hued food and beverages.